The PMO Competency Framework Working Group held its first session last week in London. There were 20 PMO practitioners in the room – all bringing different – great! – experiences to the table. The first session was all about understanding what each person wanted to achieve from being a part of the working group and working through the Terms of Reference for the work. There will be ongoing updates about the work – and many opportunities for people to get involved along the way. One thing we’re sure about, the PMO Competency Framework will be a community based project – that means we want you to be involved too. The primary aim of the Competency Framework Working Group is the development of a PMO Competency Framework that can be used as a standard (and tailored if required) for PMO roles and responsibilities across all organisations, both in the public, private and third sectors. So what can you get involved in? 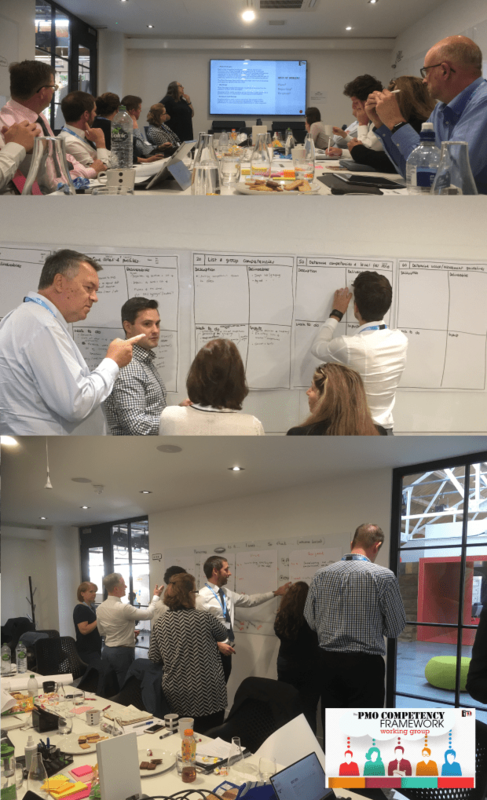 During the first session the group wanted to make sure they understand what different types of people would be interested in using the PMO Competency Framework. It’s a project so we’re going to be spending quite a while thinking about the business case and requirements. The group was interested in adopting some good old-fashioned business analysis basics and opted for use case to help them. Fancy having a go at your own use case? We’d like as many people as we can getting involved in this project so we thought let’s ask the PMO community of they would like to add a use case too. All you need to do is have a think about is who would be interested in the PMO Competency Framework – who would the stakeholders be? What would those people ideally like to see – or want in a PMO Competency Framework? And why would they want those things? So in business analysis speak we want you to think about an “actor” – what they want and why they want it. Happy to be acknowledged for your contribution to the project? A very worthwhile initiative this but I have one appeal. ‘Out there’ exist various frameworks – P30, P3M3, IPA Routemap come to mind, in addition Prince and MSP and no doubt others. In developing the PMO Competency Framework, could you please relate to the contents of frameworks such as the ones above in terms of activities and, hence competencies, required. As a change person looking for guidance from experts, it is confusing when one good practice framework appears and then another and then another with little or no correlation – please help us by making the links and being consistent.